Children learn a lot about language and social interaction through overhearing others. 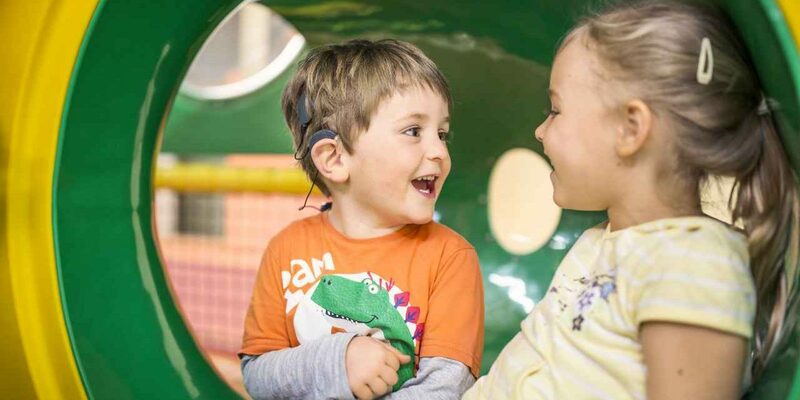 As children with hearing loss don’t overhear the conversations happening around them, they may need support in developing their emotional intelligence. Emotional intelligence is the ability to recognize your emotions, understand why you feel that way, and manage these feelings. Research has shown that high Emotional Intelligence is linked to success in health, relationships and quality of life. Here are some practical ways to help develop your child’s emotional intelligence. Explain how you are feeling to your child in a situation, for example: “I feel really cranky now because I forgot where I put my glasses.” From sharing your feelings, your child can learn how to use different emotion vocabulary in natural contexts. At the same time, they will also begin to understand the reasons why others feel certain emotions. Ask other family members to share their feelings and why they feel that way too. Help your child to observe the emotions of people around them, the characters in books or movies, or in magazine and photos. You could say: “Look at that girl who is buying ice cream! She has a big grin, I think she is excited to have ice cream.” Or, “Do you see the picture of this boy who looks annoyed? Maybe his mum told him he can’t have a chocolate bar”. This shows your child that people have their own feelings and highlights the possible reasons behind them. Learning to recognize the emotions of others helps your child to understand and develop empathy. Notice when your child is expressing emotion, for example frustration when doing homework. You could say: “You look frustrated. Homework assignments can be difficult to complete sometimes.” By identifying and describing your child’s emotions, you are modelling ways for them to express their feelings. Take turns with your child in acting out and guessing emotions. Sing the same song with different emotional voices such as a tired voice or an excited voice. Role-play stories from books or make up your own and highlight the characters’ emotions. For example, “the girl in the picture looks frightened, so I am going to use a quiet, scared voice”. Like this post on developing your child’s emotional intelligence? 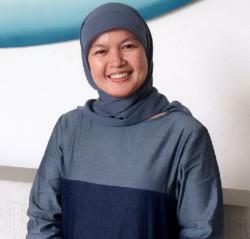 Eka Hikmat is an Auditory-Verbal Therapy practitioner and the Program Manager for Rumah Siput Indonesia Foundation, a hearing rehabilitation center in Indonesia. Her philosophy: To give the best to the families you work with, to be a lifelong learner!